The La Bella Donna makeup line contains various different types of mineral foundations for all-natural, gentle coverage that won't clog pores or cause irritation. The Bella Donna mineral foundation collection includes compressed mineral powder and loose mineral powder that are both available in 12 different shades, providing a wide range of colors to suit different skin tones. The collection also contains the La Bella Donna On The Go Brush Dispenser, which also comes in 12 distinct shades. On The Go is very handy, practical and convenient to apply. La Bella Donna also offers On The Go refills that are simple to transfer from the container into your brush. These products are all available here at Skincare By Alana. La Bella Donna foundations can be used by people with all types of skin, as they are not known to cause any allergic reactions. The foundations can be easily applied and they are mainly available in compact boxes. These boxes also come with mirrors, making them the ideal makeup item for women on the go. The products under this category are available in a wide range of shades or colors and are formulated to provide complete coverage. The foundations can be easily removed with the regular makeup removers. La Bella Donna mineral foundations are known to be effective in providing relief from allergies, acne, rosacea and melasma. They can easily be applied with the help of a brush or sponge. For those who prefer liquid foundations over powder foundations, there is a liquid mineral foundation called the Ultimate Pure Perfection. This specific foundation is available in six different colors and is designed to offer hydrating and nourishing benefits for the skin while providing a truly flawless look. You can also find a great little product in this collection called the LBD Translucent Sun Protection, which is great for both men and women and offers all-day, lightweight sun protection for the skin. If you would like to test run different colors before you commit to a full size mineral foundation, you can try out the La Bella Donna Mineral Foundation Sample Set. This sample set allows you to receive three different colors of your choosing, enabling you to get the perfect color without the guesswork. All of the La Bella Donna Mineral Foundation items can be found at Skincare By Alana. 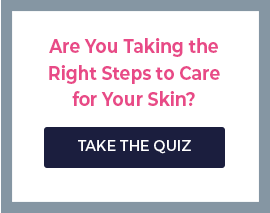 This is the most informative and convenient place to find the best skincare products that include all-natural ingredients. If you are considering purchasing any of the foundations or the sample set, this site offers a helpful chart that lays out tips on choosing the best colors, which you can find here . The website often has great deals going on and always ships your products for free if you are ordering from the U.S.